When craving the outdoorsy flavor of a grilled treat, I often turn to fish. Salmon is always yummy but buying it wild-caught isn’t always an option. 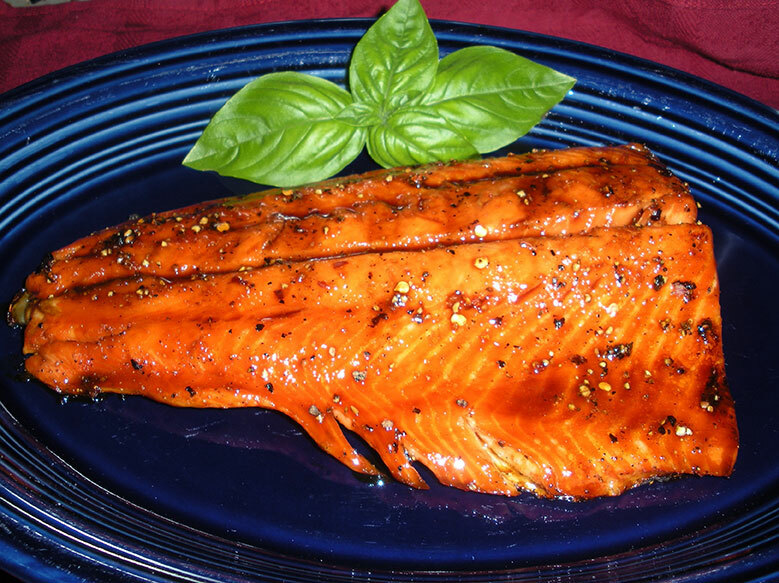 This is why Steelhead Trout – also part of the salmon family, is an easy alternative. It’s got similar flavor, nearly identical color and texture, and oftentimes it’s less expensive! The lower price may be due to the ecologically responsible farming methods of this popular fish. As opposed to opting for wild-caught as we do for most other fish, Seafood Watch encourages us to buy farm-raised Steelhead (or Rainbow) Trout and even considers it a Best Choice.